Individual counseling with modeling techniques has been proven effective in increasing the strength of the character of temprence. Clients were very active in participating in each counseling session. Researchers can observe clients clearly on each counseling process. This study used qualitative method with types of grounded research and descriptive tchnique so that the analysis is very clear and detailed. The three counselees clients who conducted individual counseling can be analyzed experiencing an increasement in the power of temprence character. Research was conducted on three counselees, the results of the study proved effective to develop the strength of the character of temperance, it can be seen that there is evidence first counselee are able to be better at people who hurt them, able to make friends with everyone, be able to do tasks more timely and can control emotions more. second counselee also get better by being able to appreciate their friends as well as third counselee who can control emotions more when find unpleasant situations. Ali, M., & Asrori, M. (2009). Psikologi Remaja (Perkembangan Peserta Didik). Jakarta: Bumi Aksara. Alwisol, M. (2007). Psikologi Kepribadian. Malang: Universitas Muhammyadiah Malang. Arumsari, C. (2018). Kekuatan Karakter dan Kebajikan dalam Bimbingan dan Konseling. Journal of Innovative Counseling: Theory, Practice, and Research, 2(1), 1-5. Astutik, E. (2007). Efektifitas Teknik Modeling Simbolis dalam Meningkatkan Aktivitas Pembelajaran Pada Siswa Kelas V SDN Sekaran 01 Gunungpati. Universitas Negeri Semarang, Semarang. Creswell, J. W., & Creswell, J. D. (2017). Research design: Qualitative, quantitative, and mixed methods approaches. Los Angeles: SAGE Publications Inc.
Lestari, I. (2015). Pengembangan Layanan Informasi Teknik Symbolic Model dalam Membantu Mengembangkan Kemandirian Belajaranak Usia Sekolah Dasar. Jurnal Konseling GUSJIGANG, 1(1). Mamarodi, R. S. (2015). Kurikulum Pendidikan Agama Kristen (PAK) di Sekolah Menengah Atas (SMA) dalam Kajian Pendidikan Karakter. Universitas Kristen Satya Wacana. Mulyasa, E. (2011). Manajemen Pendidikan Karakter. Jakarta: Bumi Aksara. Niemiec, R. M., & Clyman, J. (2009). Temperance: The Quiet Virtue Finds a Home. PsycCRITIQUES, 54(46). Nursalim, M. (2005). Strategi Konseling. Surabaya: Unesa University Press. Peterson, C., & Seligman, M. E. (2004). Character strengths and virtues: A handbook and classification (Vol. 1). Oxford: Oxford University Press. Sa’ud, U. S. (2007). Modul Metode Penelitian Pendidikan Dasar. Bandung: Universitas Pendidikan Indonesia. Said, N. (2016). Buku dan Rumah Berjendela Dunia (Gerakan Rekreasi di Perpustakaan Keluarga). 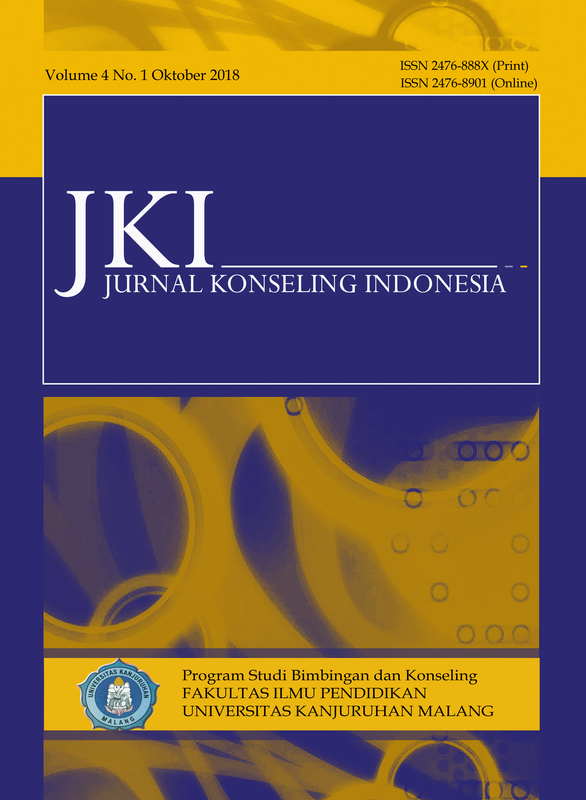 LIBRARIA: Jurnal Perpustakaan, 2(2), 41–57. Sukardi. (2003). Metodologi Penelitian Pendidikan. Jakarta: Bumi Aksara. Sulistiana, Y. C. (2014). Upaya Meningkatkan Kepercayaan Diri Siswa Melalui Layanan Konseling Kelompok dengan Teknik Modelling Simbolik Tahun Pelajaran 2013/2014. Universitas Muria Kudus, Kudus. Toner, E., Haslam, N., Robinson, J., & Williams, P. (2012). Character strengths and wellbeing in adolescence: Structure and correlates of the Values in Action Inventory of Strengths for Children. Personality and Individual Differences, 52(5), 637-642. Usman, I., Puluhulawa, M., & Smith, M. Bin. (2017). Teknik Modeling Simbolis dalam Layanan Bimbingan dan Konseling. In Proceeding Seminar dan Lokakarya Nasional Bimbingan dan Konseling 2017 (Vol. 1, pp. 84–92). Willis, S. S. (2010). Konseling Individual Teori dan Praktek. Bandung: Alfabeta.